Dr. Chirag Patel is a fellowship trained orthopaedic surgeon practicing in Mumbai, India. 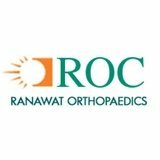 He specializes in treatment of orthopaedic conditions of the hip and the knee joint. He is extensively trained at reputed centers in Australia, United States of America and Europe. Dr. Chirag Patel obtained his primary medical degree from Lokmanya Tilak Municipal Medical College & General Hospital, Mumbai and pursued his specialist qualifications in Orthopaedic Surgery at the prestigious Maharaja Sayajirao University and Government Medical College, Vadodara, Gujarat. He then went overseas for advanced training in adult hip and knee reconstruction at some of the most reputed centers in Australia, Unites States, Germany, Italy and South Korea. Dr. Patel did his fellowship in Adult Hip & Knee Reconstructive Surgery at the Mater Hospital & the Concord Repatriation General Hospital, Sydney, Australia under A/Prof. William Walter and Dr. Bernard Zicat, specializing in all aspects of primary & revision Hip/Knee Arthroplasty Surgery including Hip Resurfacing/Uni-Condylar Knee Replacement and Navigation/Computer-aided Joint Replacement. He further trained at the St. Vincent's Hospital, Melbourne, Australia under A/Prof. John O'Donnell mastering the art of Arthroscopic Surgery of the Hip and performing Anterior Approach Hip Arthroplasty which not only minimizes the post-operative recovery/rehabilitation time for hip replacement significantly but also reduces the risk of dislocation following this surgery. Dr. Patel has also done Joint Replacement/Arthroplasty Fellowship under Prof. Young-Hoo Kim at the Ewha Woman's University Hospital, Seoul, South Korea honing his skills in revision arthroplasty surgery. He further specialized in Minimally Invasive Arthroplasty at the St. Josef Hospital, Paderborn, Germany under Prof. Nobert Lindner. Dr. Patel is fellowship trained in Arthroscopic/Key Hole surgery of the Knee under Prof. Maurilio Marcacci at the Institute of Orthopaedics, Rizzoli, University of Bologna, Italy, one of the oldest universities in Europe and a premier orthopaedic center for treating athletes and professional sportsmen in Europe..
Dr. Patel has been recipient of numerous academic awards through his orthopaedic career, most notable being the Asia Pacific Arthroplasty Travelling Fellowship, 2011 to Singapore, awarded to only eight young orthopaedic surgeons from the entire Asia-Pacific region and the prestigious Ranawat Orthopaedic Research Foundation Fellowship, at the Hospital for Special Surgery, New York, USA, one of the highest volume joint replacement centers in North America and ranked the top hospital in United States for hip and knee surgery. Dr. Patel is keen researcher having published in national & international journals. He has lectured in various national and international orthopaedic meetings. 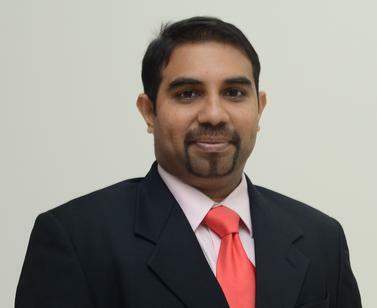 Beyond Orthopaedics, he is keen sports enthusiast and loves playing table-tennis and avidly follows cricket and soccer.